There's an art and a craft to fine art reproduction. As a fine art print studio, we work with artists who paint, illustrate, draw, and work in mixed mediums, sometimes in very large sizes. 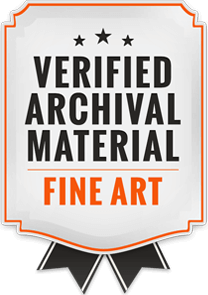 The first, and most important part of artwork reproduction/giclee printing is a high quality scan or digital capture of your original artwork. 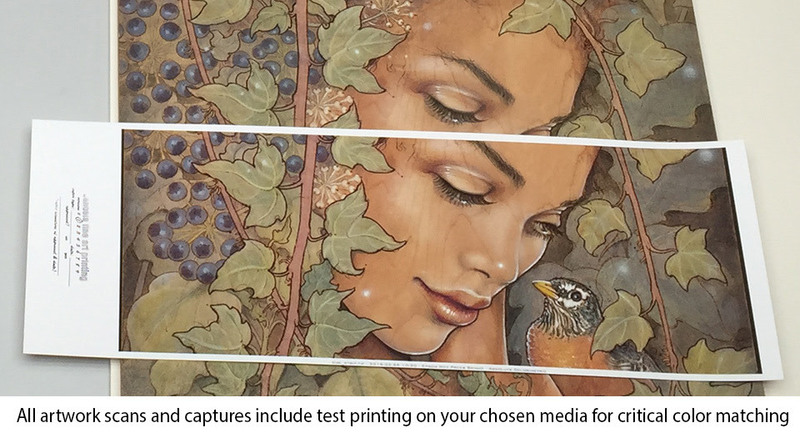 Digital capture or scanning of your original artwork (300dpi @ the size of the original artwork). Work can generally be printed 2x larger than the orginal artwork due to scan quality. If you have copy slides of your artwork, you'll need to order a drum scan in addition. Color correction and file setup to match your original artwork as close as possible, one 8" x 10" proof print. Additional rounds of proofing and test prints are $20 each. We review the proofs with you to ensure they meet your satisfaction prior to printing your final images and make necessary adjustments to the file. For artists who live out of town, test prints are sent via USPS Priority Mail for viewing at your location. The final proofs, which needs to be approved, signed, and dated, is kept as a studio match print (also called a BAT or "bon a tirer". This studio match print is kept on file at Candela for quality control reference for future print orders. 1 week for scanning/capture, file setup, and preparation of test print. After test prints are approved, we generally require 2 days for prints on paper, and 5-7 days for prints on canvas. While we always try to accomodate your specific project requirements, turnaround may vary due to workload in house. Scanning or digital capture - what's the difference? 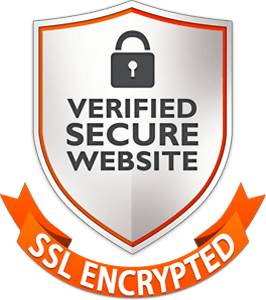 Both methods create digital files of your artwork. Larger paintings, or those with textured brushstrokes, metallic paints, and/or glossy surfaces must be digitally captured using our capture system. 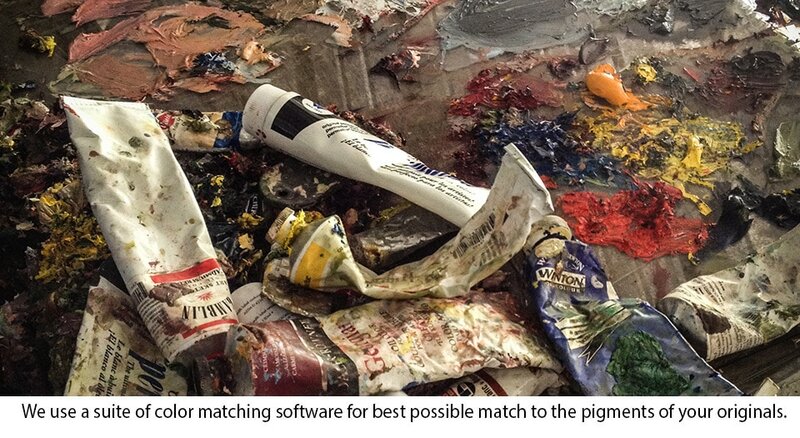 We use a suite of color matching software for best possible color match to the pigments of your originals. With our North Light HID copylights we create optimized lighting to enhance brushstrokes and fine details. Cross polarization is used to eliminate or control reflections. For small originals (up to 12"x18") on paper, we get the sharpest and smoothest results from our oversize flatbed scanner. 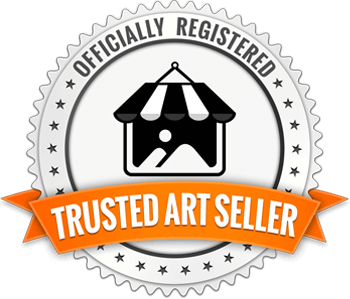 All in all, it's a finely tuned system that records the subtle hues, delicate details, and color fidelity of your original artwork. Can I bring my own scans or files? We can work from your own scans or digital captures, provided their quality and resolution is suitable for printing. 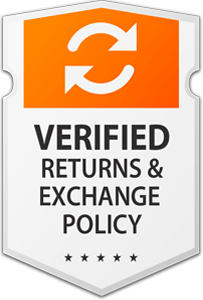 Imaging, correction, and color matching is $100/hr, billed in 1/4 hour increments. Proof prints are $20. what types of artwork can you scan?